If evidence were needed that there are increasingly limited roles for older women in Hollywood, then The Calling offers itself up as a perfect example of a miserable fact. For here we see powerhouse performer Susan Sarandon reduced to a badly drawn cliché: a hard-bitten small town cop fighting her demons with a cocktail of alcohol and prescription drugs, yet still managing to stay sharp when she comes up against a religiously motivated serial killer. 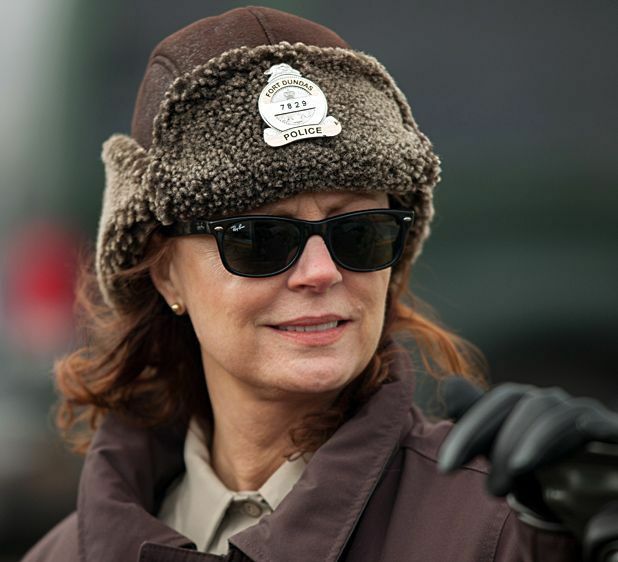 It's a character we've seen a million times before, albeit rarely as a female; which makes it all the more frustrating that Sarandon is given no chance to make protagonist Hazel Micallef anything more than a cipher for addiction, desperation and redemption. In fact, a lack of imagination and exploration is an issue across the board here. The problems lie not with The Calling's cast (which also includes Ellen Burstyn and Donald Sutherland), nor with the story itself; although religious fanaticism is nothing new in the world of the crime thriller, there is a potentially interesting motivation at work for this particular psycho. The narrative, however, is delivered – via both Scott Abramovitch's script and Jason Stone's direction – in the manner of someone pushing a square rock up a large hill. You can almost hear the thunks as each plot point is reached. There are some moments which reveal what could have been: we meet lanky killer Simon (Christopher Heyerdahl) early on, and his interaction with a sick young girl is especially chilling. And some potentially interesting details are tantalisingly touched upon – the reasons for Hazel’s self-destruct persona, the truth behind the arrival of new cop Ben (Topher Grace) – before they are scattered to the wind. Too one-dimensional to be a character study, and too dull to be a thriller, The Calling is disappointing not just because of its bland, procedural tone but also because it completely wastes a truly impressive cast. Limited release from Fri 10 Oct.